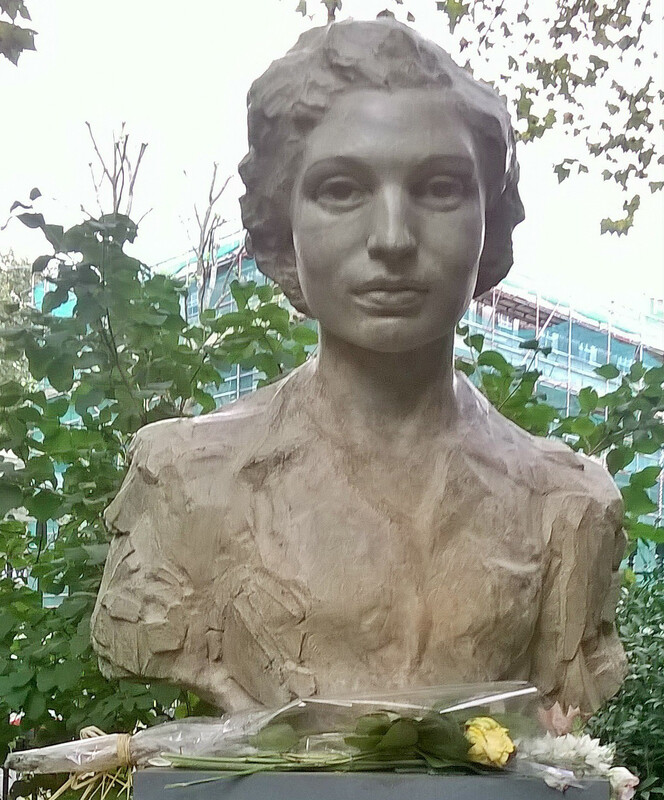 The legend of Noor Inayat Khan is worth repeating for those unfamiliar with her heroism. Noor was the first female radio operator sent into Nazi-occupied France during the Second World War by the Special Operations Executive (SEO). Her life ended under the crushing brutality of Nazism. Born in Moscow on January 1st 1914 to an Indian father and American mother. Noor was also a descendant of Tipu Sultan, who died in the eighteenth-century in opposition to the British. Shortly after her birth, the family moved to England before settling in France. Khan’s father was a Sufi teacher, pacifist, and musician. A father who imparted the lessons of non-violence and religious tolerance. The environment encouraged her to study music and medicine. But her talents lay in the written word and published children’s stories. With the outbreak of war, Khan fled France for England and joined the Women’s Auxiliary Air Force (WAAF) in late 1940. Khan’s bilingual skills made her an ideal candidate for the SEO and she agreed to become a British special agent in 1942. A year later, Khan entered Paris under the code name “Madeleine” and joined the Prosper Network. But soon after arriving, the Gestapo arrested various members of the Prosper Network. Fearing infiltration, SEO recommended that Khan return to England. But she refused, as she was the only radio operator left in the group. Khan evaded capture for three months before betrayal turned into arrest. Under the pain of torture at Gestapo headquarters, she remained silent. But Gestapo officers discovered her code book and used it to feed the SEO false information. Khan escaped from the Gestapo’s Paris headquarters, but her freedom was short lived. She soon found herself in Pforzheim prison in November 1943. The Gestapo subjected Khan to ten months of solitary confinement, brutalisation, torture and starvation. Yet, it did not break her. To the frustration of her captors, Noor remained silent. A year later, Khan (and three other female SEO agents) found themselves in Dachau concentration camp. On September 12 1944, Khan met her death at the hands of an SS firing squad, her final words were “Liberte”. Khan’s bravery was posthumously honoured with a George Cross in 1949. In France, she received the Croix de Guerre, two memorials, and an annual ceremony. Noor’s remarkable courage was not motivated out of love for Britain. But born out of opposition to Nazi totalitarianism. The legend of her wartime heroism grew thanks to various books and documentaries. 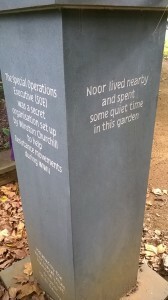 A statue of Noor now rests in Gordon Square Garden. In 2014, the Royal Mail honoured Khan with a stamp to commemorate their ‘Remarkable Lives’ series. On October 17 2014, I found myself re-immersed in Noor’s story, when attending the armed forces Eid reception. Due to the weather and transport issues, guests were unable to view the documentary of her story ‘Enemy of the Reich’. My conversations with members of the Navy and Air Force covered Noor, Living Islam, and Muslims in the armed forces. One unnamed individual linked Noor’s selfless heroism to Alan Henning. Alan Henning and Noor Inayat Khan died 70 years apart. But their stories are two of the many bright flickers extinguished in the darkness of totalitarian ideologies. Neither had to enter conflict zones but did so for a greater good – and paid the ultimate price. But the flames of their heroism are always rekindled in times of remembrance and grief. Noor Inayat Khan is also a role model for young Muslims. A role model whose shared faith (and ethnicity) can help the alienated redefine their identity. Apostasy from Islam in Britain - In God We Trust?